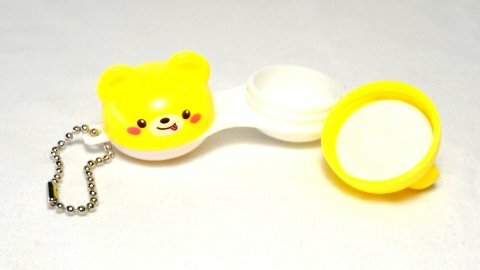 Ever dreamed about a cute lens case with a bear look ? 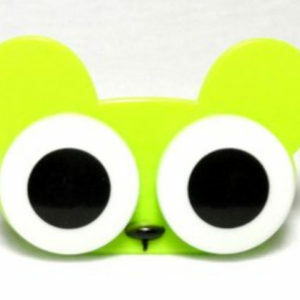 Ever thought about a lens case that you could tie to your bag or attach with your keys? 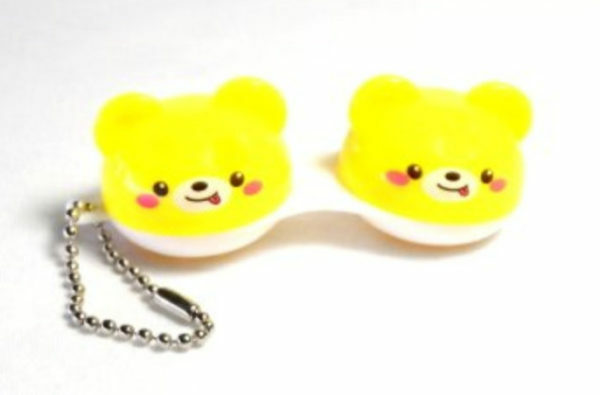 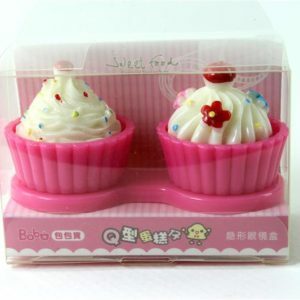 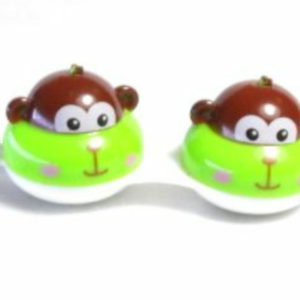 This Bear contact lens case key chain holder style is the second generation of Mio friends lens case series, and it is absolutely funny, fancy and cute. 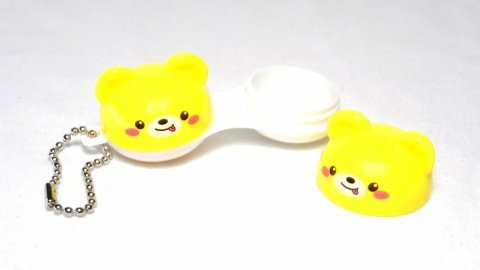 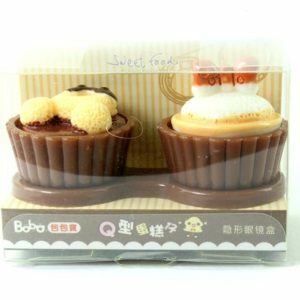 The style of this adorable bear lens case is not only cute but this case is also a good quality lens holder with a lid that can be closed tightly. This Bear style lens case will fascinate your friends and everybody who will see it, and you will enjoy your new lens accessory a lot, because it is made with high quality material, and this yellow bear will be your new companion everywhere you will go.